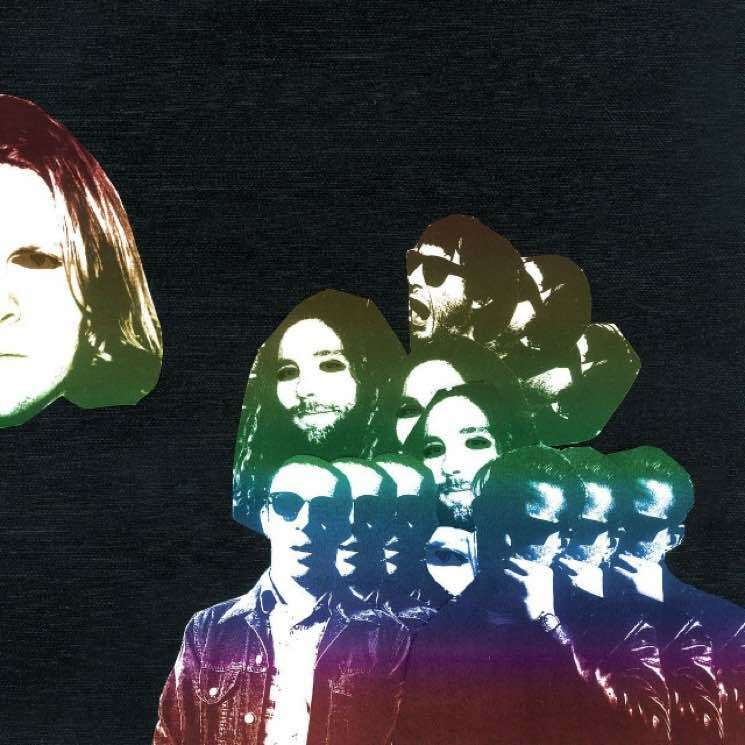 Californian king of the riff Ty Segall, now 30 and married, has grown in more ways than one. Freedom's Goblin is album number 10 for Segall — not counting his other projects Fuzz, Ty Segall Band and GØGGS — and plays like an overarching culmination of all his various forms. It's all here — the punk crunch of his earlier days (Melted and Goodbye Bread), the sweet softness of Sleeper, the borderline daft moments found on Emotional Mugger and his other foray into more elaborate songwriting and cleaner production, Manipulator. Freedom's Goblin gets off to a booming start from the first snare hit with "Fanny Dog," a power punch ode to his canine companion. It's the marriage of riff-heavy and catchy vocal melody that you'd expect from Segall, but with the added bonus of a brass section. Rather than detract or distract from the song, the horns add depth and complement the tune well, just as he accomplished with strings on 2014's Manipulator. Then, Segall sings beautifully atop a melancholic piano and sparse drums before that big ol' band kicks in again on "Rain." Cue the excellent fuzzed-out take on Hot Chocolate's 1978 banger "Every 1's A Winner" featuring Fred Armisen on additional percussion — so good to see a song with a killer riff get love from someone like Segall, and he knocks it clean out of the park. Next, the amazing "Despoiler of Cadaver," which has Segall almost embody the gravelly register of Boney M's Frank Farian, as his most disco-influenced tune unfurls beneath it all. "When Mommy Kills You" features the same kind of childish cries that Segall goofed around with on Emotional Mugger, whereas thrasher "Meaning" finds Segall's wife, Denée, take the vocal lead as she sing-shouts after a minute-long teaser of cowbell and hesitant, scrambling guitars. Shout out to long-time bandmate/collaborator Mikal Cronin for the many terrific saxophone contributions on this record — notably on the absolute thrill "The Main Pretender" and smile-inducer "My Lady's On Fire." And so it goes, for a whopping 19 tracks, continuing on the path of a patchwork adventure of sound. Despite the rather overwhelming number of songs (not to mention the 75-minute runtime), the album manages to not fall apart. Though it is a constant flip-flop of energy, with most heavier tracks followed by a gentler take, the dynamic shifts are what keep Goblin going. There's "Prison," a neat instrumental interlude, "Alta" a rather epic reference to the California of old, as well as rehashing of older songs as Segall's done before ("Talkin 3" revisits a tune that was first sneakily introduced on the outro of Emotional Mugger, and lengthy album ender "And Goodnight" takes from the title track of 2013's Sleeper). If anything, "And Goodnight," at just over 12 minutes, can drag on a bit and feel like the tape was accidentally left on during the band's noodle session, but this kind of self-indulgence can be forgiven. After all, this is Segall doing as he pleases, emptying out his bag of tricks and grinning at the mess he's made. Amidst the guitar solos (of which there are plenty) and abundance of hooks, there are also far more explorative and elaborate compositions.